Are you experiencing an issue with Smart Service, iFleet, or any of our other field service management software offerings? The Smart Service Knowledgebase is one of the best available resources for navigating our software’s immense feature set. Updated weekly with new content, the Smart Service Knowledgebase is a self-help hub par excellence. You’ll find step-by-step directions, informative diagrams, and detailed tutorial videos. Check it out! Want to speak to a bonafide Smart Service expert? You’re in luck! The Smart Service Help Desk is here to make sure that your software experience is a great one. Give us a ring during regular business hours (8:30 AM to 5:30 PM EST, Monday through Friday) to connect with an enthusiastic computer expert who will solve your software problem. Software problem? Let’s figure it out! In addition to our extensive online manual, we offer a series of step-by-step tutorial videos to guide you through many of Smart Service’s features. Sometimes there’s no substitute for seeing the solution unfold before your eyes. If you’d like to stay up to date as we add tutorial content, consider subscribing to our Help Desk channel. Download the latest Smart Service software update. Don’t miss out on all the new features and bug fixes in the latest release of Smart Service. Make sure to review the list of added features on our updates page so that you can begin taking advantage of new functionality right away. 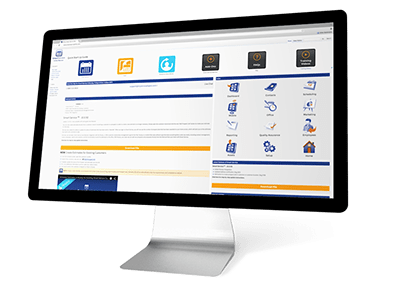 If you’d like to learn more about the field service management software Smart Service, head to our products page for the complete lowdown. You can also request a one-on-one demonstration or call (888-518-0818) if you’d like to speak to a sales rep for more information.